Be Kind Rewind: "Swede" your next exhibit! 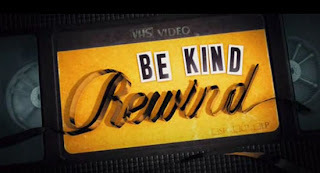 I just saw the movie "Be Kind Rewind" a sweet (or "swede") and interesting experience. Admittedly, the film is light and goofy --- the upshot is that the two main characters (played by Jack Black and Mos Def) need to remake the movies at a cheapo video store after they all get erased accidentally after Black becomes "magnetized!" No spoilers here, but the movie's worth a look for both exhibit inspiration, and ideas!